Real Madrid midfielder Isco wants to stay at the club amid reports a number of clubs across Europe are eyeing a move for him. 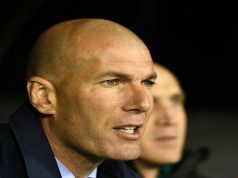 The former Malaga man started seven of the the first eight games under Zinedine Zidane but has been rotated in and out of the side since then with Lucas Vazquez, Mateo Kovacic and James Rodriguez all competing for a place in the starting 11 with him at the Santiago Bernabeu. 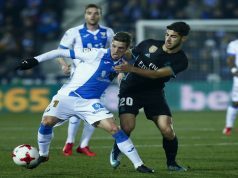 The Spain international has been linked with a move away from the 10-time Champions League winners with Manchester City and Arsenal thought to be in for him. This week, Madrid-based sports paper AS claimed Italian champions Juventus have also joined the chase for the 23-year-old. But it went to to add that despite the interest in him, Isco wants to remain in the Spanish capital. He has two years remaining on his current deal. Isco joined Los Blancos from Malaga for 30 million euros in 2013. He had made 139 appearances for the club scoring 21 goals along the way. 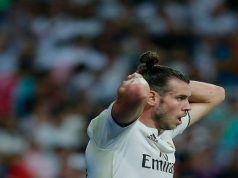 In his first season, he helped the team to the Champions League title and the Copa del Rey, while has also picked up winners’ medals in the World Club Cup and European Super Cup.